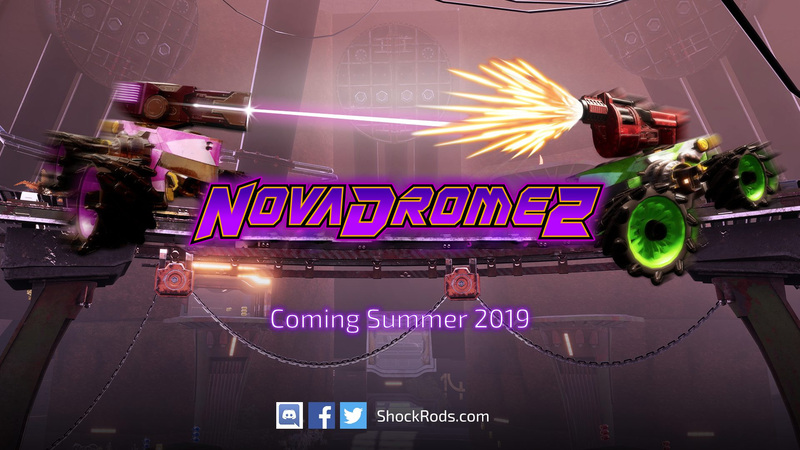 Announced today, Novadrome 2 ShockRods is the new game developped by Stainless Games and published by Green Man Gaming Publishing. Stainless Games are back with a brand new IP featuring all the over the top, in your face vehicle combat that you have come to expect from this world class dev studio. 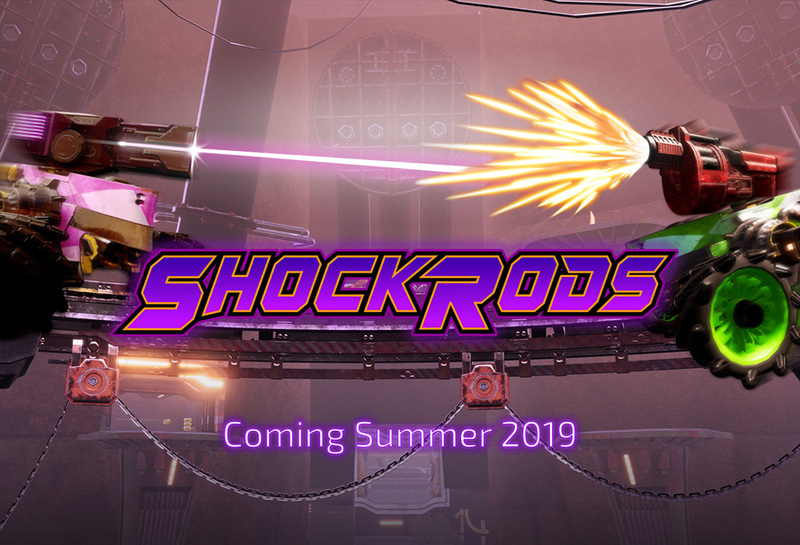 ShockRods is a 6v6 or 12 player free-for-all arena shooter, bringing all the blisteringly fast-paced action, mayhem and overpowered weapons you would expect. ShockRods draws inspiration from the classic “kill or be killed” arena shooter greats of yesteryear with over the top weapons, explosions and insane mobility, but with a twist - the titular ShockRods; these customisable, hulking, technologically advanced vehicles, equipped with nitros and the ability to double jump, allow for truly thrilling and action packed gameplay. It’s an easy to learn, hard to master, high octane, thrill-a-minute ride! ShockRods brings 3 classic, tried and tested game modes to the table: Death Match, Team Death Match and Capture The Flag. Plus, enjoy the full combat no-holds-barred Ball Mode - work as a team and protect the ball carrier as they target the opposition goal, or simply reduce your opponents to scrap metal and walk the ball home. ShockRods features 4 stunning and dynamic environments; with more to come as the game evolves through Early Access. These range from natural looking desert and woodland areas, to man made battle arenas, specifically designed for 6v6 or free-for-all carnage and mayhem. ShockRods allows for full customisation of your hulking war machines. Change your car type, colour, wheels, decals and patterns. Choose from a host of taunt FX and sounds, and much more, to show off your flair and style as you dominate your opponents. All the content is cosmetic and can be unlocked through currency earned in game based on your performance in battle. ShockRods brings a full arsenal of explosive and somewhat unconventional weapon types to annihilate your opponents. These will be scattered across the environment for you to collect and put to good use. Want a Gatling Gun? Rocket Launcher? Grenade Launcher? We got you covered. Not your style? Try the Balloon Cannon, Freeze Gun or Bulldozer power ups! Hmmm why not actually name it Novadrome2 ? =D what gives? The second ShockRods BETA will go live on the 25th of April until the 30th (inclusive). People who participated in the previous beta will receive an email, those who didn't and which to participate can join the ShockRods discord and ask MattGMG by private message to be put on the mailing list.